With the number of roads increasing every day, so is the need for pavement marking. Effective pavement marking is key to proper traffic flow and pedestrian safety. Uniformity of the markings is an important factor in minimizing confusion and uncertainty about their meaning. These pavement markings must be made by experts in order to avoid taking any chances. 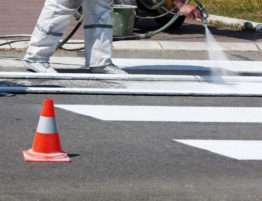 STRIPES is a local leader in pavement marking and asphalt repair in Toronto and Ontario. 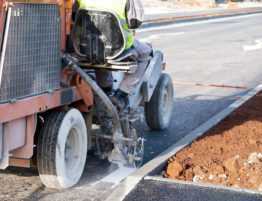 We offer a synergy of services including road line striping, asphalt seal coating, parking lot marking. We could be the last call that you will make when looking for professional pavement completion. Pavement markings are validated on two scales: durability and visibility. Pavement markings have limitations. 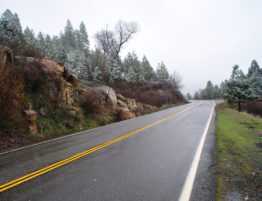 They are obliterated by snow, may not be clearly visible when wet, and may not be very durable under heavy traffic. It may be necessary to refresh them every year or more often. Despite these limitations, pavement markings are still used because of their unique advantage: they convey information to drivers without diverting their attention from the road. At STRIPES, we are well aware of all of these considerations and our work conforms to the highest standards. 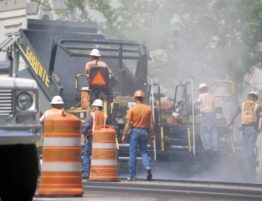 Our services include both commercial road line painting and residential asphalt sealing and resurfacing. Whether your lot is 1,000 sq feet or 1,000,000 sq ft, we can help.